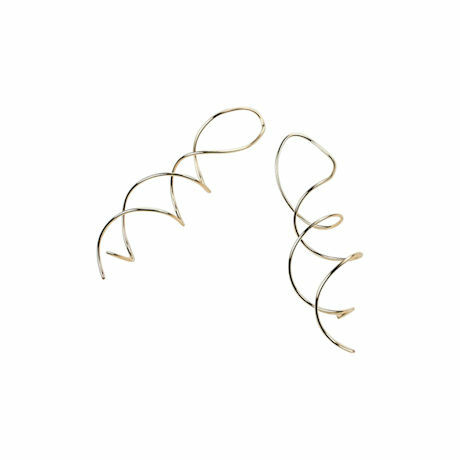 Amazingly simple and gorgeously understated, our airy earrings are handmade in Minnesota ingeniously using a corkscrew design to twist on. Hypo-allergenic 12kt gold wire catches the light beautifully. Hang 2" overall.